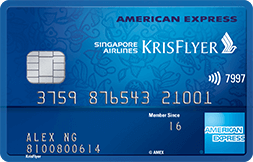 Thinking of applying for an AMEX KrisFlyer cobrand card? Look no further, because The Milelion is partnering with American Express to give away one million KrisFlyer miles, in the form of ten prizes of 100,000 KrisFlyer miles each. If your application is approved before 15 May 2019 and you make a transaction of at least $1 by 31 May 2019, you’re eligible to win one of 10 prizes of 100,000 KrisFlyer miles! 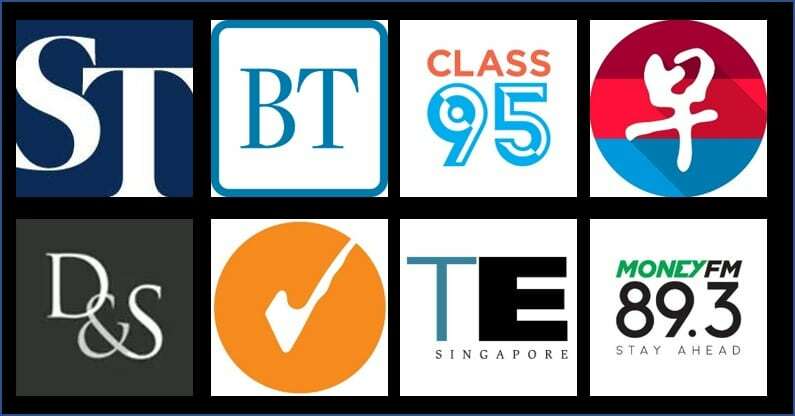 so long as they spend a minimum of S$50 within the first 3 months of card approval. 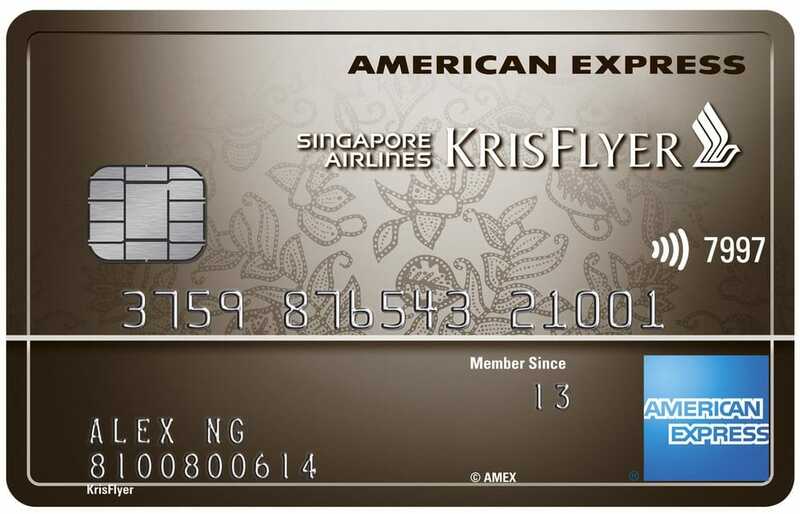 If this is your first-ever KrisFlyer AMEX cobrand card, you’ll also get a bonus of 5,000 KrisFlyer miles on your first spend. *Do note that the sign up bonus spending requirement has been revised upwards from last month- previously the required spending for the KrisFlyer Ascend and KrisFlyer Credit Card was $6K and $3K respectively. If you’re applying for the KrisFlyer Ascend, do remember that cardholders who spend at least $12K (of which at least $3K must be on singaporeair.com) by 1 June 2019 will get an instant upgrade to KrisFlyer Elite Gold status for a year. 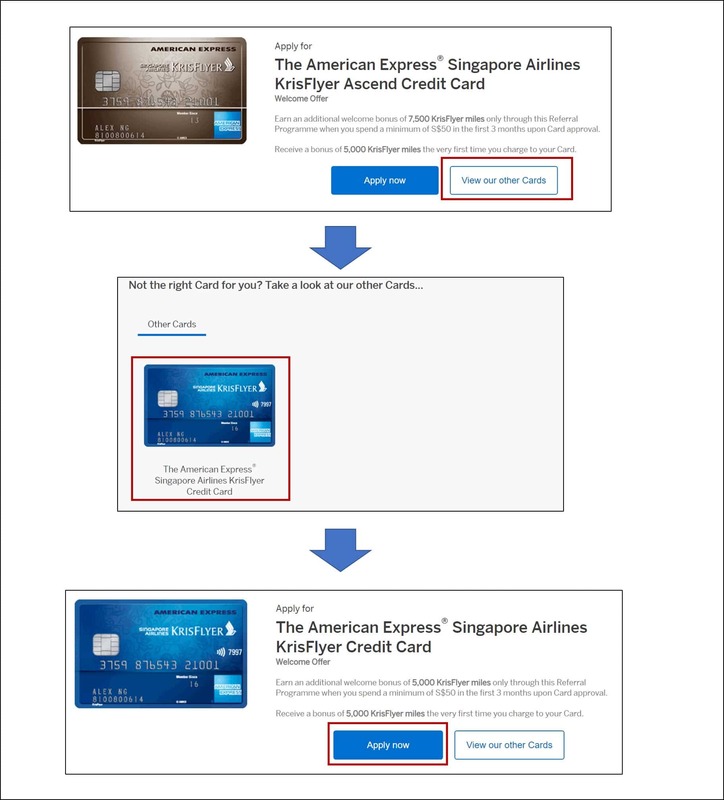 It was just announced today that AMEX KrisFlyer cobrand cardholders now earn a bonus 2 mpd on transactions at the merchants shown below, capped at $200 each month. This means you’ll earn 3.2 and 3.1 mpd respectively with the KrisFlyer Ascend and KrisFlyer Credit Card. What can you do with 100,000 KrisFlyer miles? 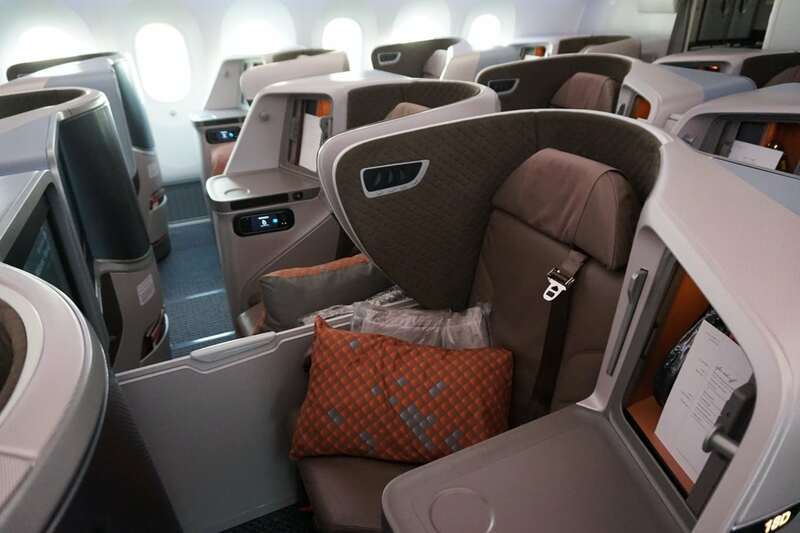 I’m normally not a fan of redeeming Business Class on short haul routes, but if it’s a special occasion, you might want to snag a seat on SQ’s newest Regional Business Class product on the B787-10. Look out for SQ942/946 on the outbound leg and SQ943/947 on the inbound from 1 May onwards. I did this on the recent Mileymoon, and although the flight is short, it’s still a heck of a way to start a special journey. For 94K miles, you can redeem a round-trip Business Class trip to any of SQ’s destinations in Japan or South Korea. 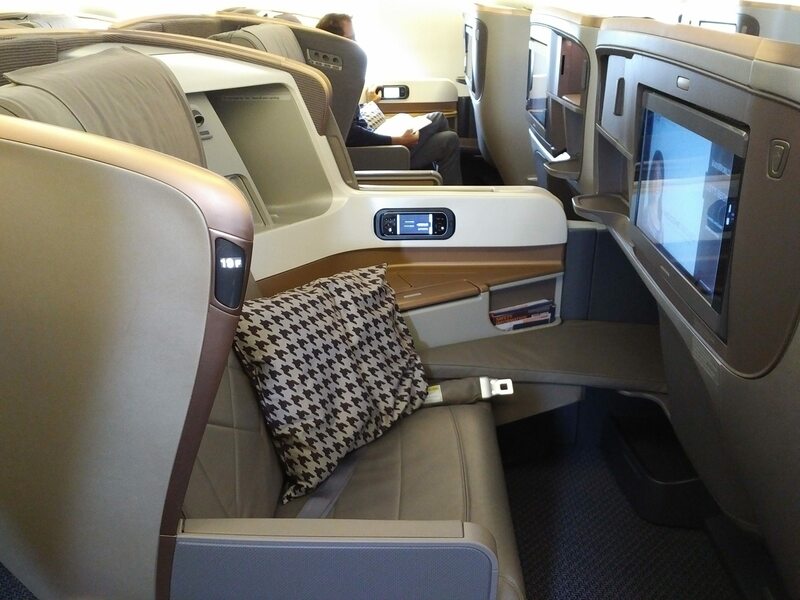 If you fly to Tokyo on SQ12, for example, you’ll get to enjoy SQ’s excellent 2013 Business Class seat for more than 7 hours. Seoul used to be a bit of a minefield in terms of Business Class products, because historically there was only a single B77W flight with the 2013 Business Class and the rest were A330s with the much less impressive 2009 Regional Business Class. However, from May onwards all flights to ICN will have full-flat Business Class seats thanks to the introduction of more B787-10s. For 106K miles, you could redeem a round-trip Suites ticket to Shanghai on SQ’s newest A380 (look for SQ830/833). Ben at OMAAT identifies this as one of the easiest routes to get Suites Saver space for the new product. 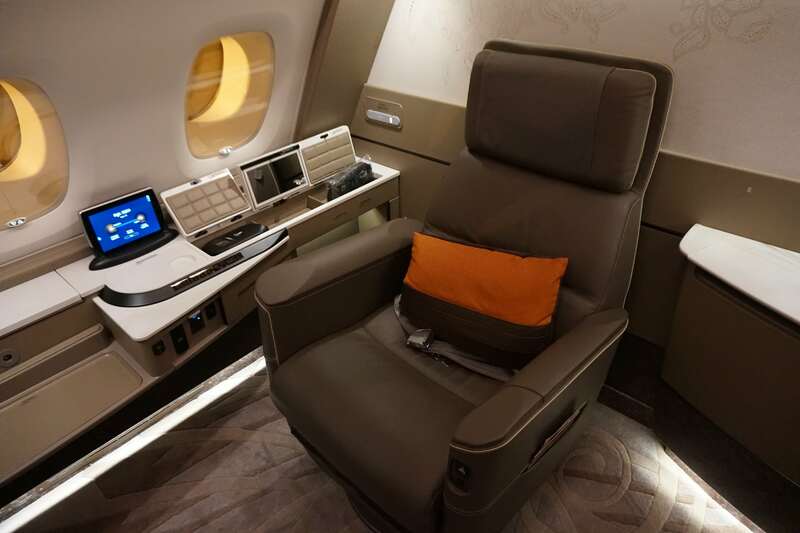 You could also try the older (but still great) Suites product on any of the A380 flights to Beijing. There are, of course, many other routes and products you could try with 100,000 KrisFlyer miles (especially if you’re ok with a one-way redemption), but I hope that gets the juices flowing. If you already have an AMEX KrisFlyer card, now’s the time to let your friends and family know about their chance to win 100,000 miles each! A final reminder- be sure to fill out the form after you’ve applied for your chance to win. Signing up for cards or making purchases through the links in this article may generate a referral commission that supports the running of The Milelion. Found this post useful? Subscribe to ourTelegram Channel to get these posts pushed directly to your phone, or our newsletter (on the right wof your screen) for the latest deals and hacks delivered to your inbox. Will Amex PPS eligible for this promotion? I have a KF Blue card and I clicked the link to upgrade to Ascend. 1. I’m eligible for the lucky draw right? 2. The link in Amex still shows $15k spend on SIA for accelerated qualification for elite gold status. Am I missing something? Thanks Aaron, the sign up link here still shows $15k for accelerated KF elite gold, i’m a little confused now. because the $12k is a tactical promotion. read this. Hi, I had an amex krisflyer card before and canceled 6 months ago, may I know if I can still get the MGM 5,000 miles and the other bonus miles on spending? Am I right to say that I will only lose out on the 5,000 miles for new to card applicants? Clickbait title. It should say “*and stand a chance to win one of ten prizes of 100,000 miles”. Your title implies that as long as I sign up I get the miles, guaranteed. Is the annual fee waived for first year? Only for the blue card. Ascend is non-waivable. Thanks. This is useful information. I hope Aaron knows this would’ve been helpful if in article. Makes it look more like clickbait if don’t mention key cons of these deals. Hope this doesn’t become a recurring thing. Hi Aaron, does this mean subsequent years are waivable? I’m quite put off by the annual fee and have yet to determine if it’s worth it to pay for the card. Shall go search for your website for a review of the card..
By right, there is no fee waiver for KF Ascend unless you hold an AMEX Plat Charge. However, people report that they have been able to get a waiver in the second year by forfeiting the vouchers. that said, if the prospect of paying an annual fee really bugs you, you’re better off with the blue card. How long does AMEX normally take to process card application? No news from them since Mon. in my experience it’s really fast, although it could be because i’m already an existing customer. why the link site looks shabby with low res pictures?